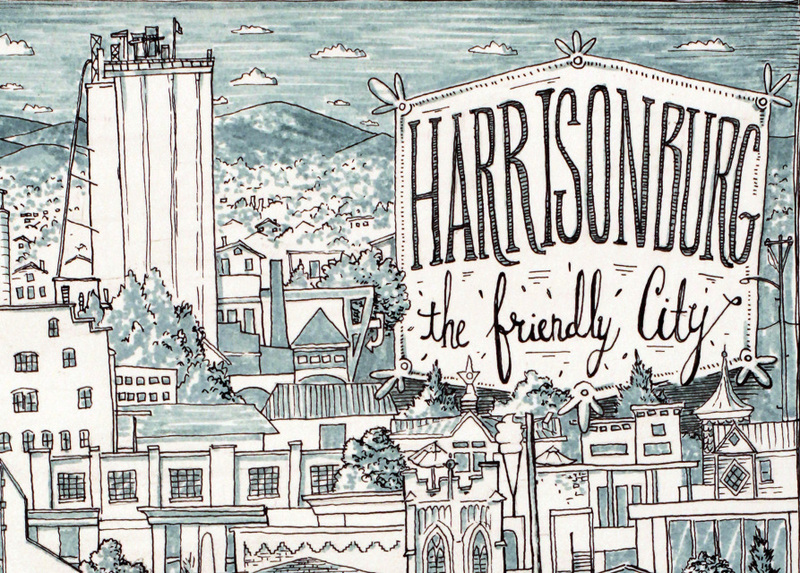 Illustration of Downtown Harrisonburg, Virginia. 11x17 or 7.25x11 Ultra Premium Matte Print packaged for protection in a crystal clear bag with a heavy duty 4-ply backing board. Shipping Rates and taxes are included in the listed price.